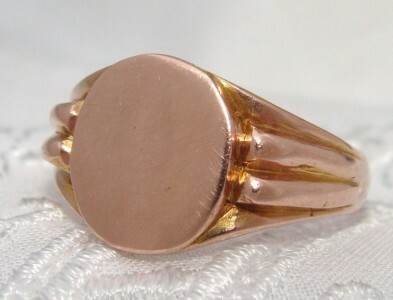 This is a Fabulous, Classic signet ring perfect for either a man or woman. What a rarity to find an antique signet yet to be engraved with a previous owner’s initials. The pictures provide the best description. It looks lovely on with that True Rose Gold hue that is so highly sought after today. Nearing Mint Antique condition! It is clear it was worn little since it has little wear evident. It is resizable, if desired.